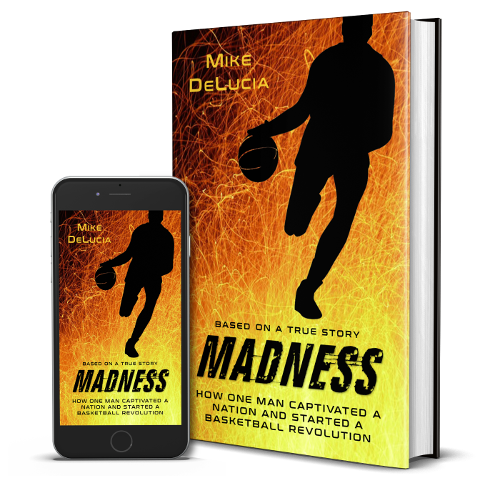 Mike DeLucia has written a book entitled “Madness” based on the true story of Hank Luisetti. Mike’s Italian roots extend to Naples, on his mother’s side of the family and from Benevento on his father’s side. He has several family members who reside in Milan and Varese. PRIMO interviewed him about his novel “Madness” and what made Hank Luisetti such a revolutionary basketball player. 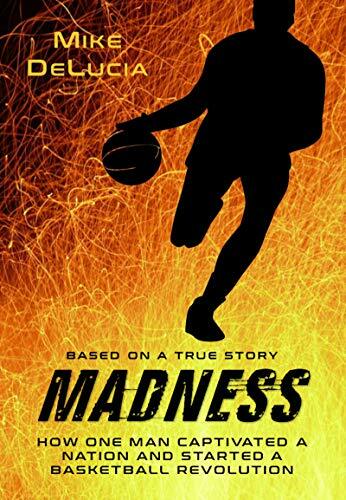 Your novel "Madness," is based on the true story of Hank Luisetti; a college basketball player from Stanford. Tell us how Hank changed the game forever? Before Luisetti total scores of basketball games averaged in the 30s. Basketball was a filler sport between baseball and football season. Passing and shooting with two hands was at the center of basketball’s stop-set-shoot philosophy. Then came Hank Luisetti. He defied the establishment by means of a running one-handed shot. With basketball’s integrity on the line, a promoter from New York arranged a grudge match between LIU and Stanford, in a game that would both test Luisetti’s unorthodox style and determine the unofficial national champion. At that time the east was considered the class of the nation and LIU was the class of the east. They were so good that the Olympic committee asked LIU to represent the USA in the 1936 Olympic games. LIU, a team comprised of many Jewish players, however, refused in protest due to the rumors of anti-Semitic acts in Germany. LIU was riding a 43 game winning streak before they encountered Luisetti, and they simply could not contain him. Besides popularizing the one-handed shot, Hank is credited with the behind-the-back dribble. He was doing fast breaks and his dribbling ability was spectacular. He could jump so high and stay up so long that he looked like a ballet dancer. He employed the no-look pass. He was voted the most outstanding athlete to perform at Madison Square Garden in 1936. The man was 50 years ahead of his time. The New York Media reported the news of the great Luisetti and people began to emulate his moves and style. Basketball got hot and grew a fanbase of its own. What followed was the NCAA March Madness Competition and the NBA. He changed basketball’s genetic footprint with his unorthodox playing style. James Naismith invented basketball in 1891; Hank Luisetti reinvented it in 1936. He was inducted into the Hall of Fame in 1959, its inaugural year. What great news! 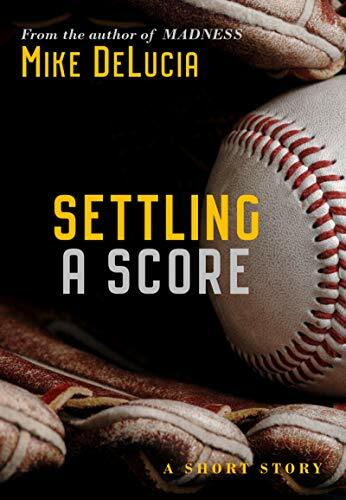 My short story, Settling A Score is a No. 1 New Release in Teen & Young Adult Baseball Fiction. Authors often write about what they know, and this story is as much my childhood as any other. 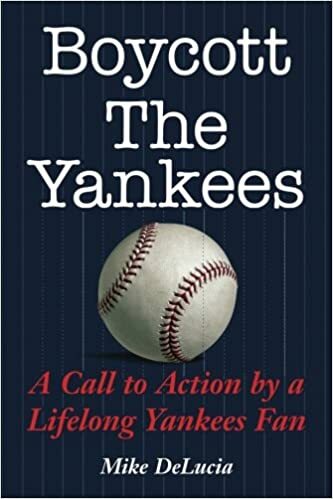 Little league baseball, playoff games, an older brother, sibling rivalry, Bronx-street games, and the 1960s-70s were all part of my childhood. While the names and locale may be different for many of us, the basics are universal, as we have all played in the big game, felt like a loser, and experienced rivalries while trying to figure out who we were at a time when we were still toying with the building blocks of our identity—still children maneuvering through storms without the gas tank of experience that steadies our adult life. Sylvester Stallone has about as much to do with the resurrection of Hank Luisetti than anyone. When Rocky was released in 1976, I was a sophomore at Monsignor Scanlan High School in the Bronx, and my life’s goal was to become a film actor. I was bitten by the acting bug in 1973 when Ron MacFarland, a dynamic teacher at my grade school, put on a rock and roll musical. Prior to that, when grownups asked what I wanted to be when I grew up, I’d say doctor, lawyer, or centerfielder for the New York Yankees. After high school, I went to Queens College for a year, dropped out, and enrolled in H.B. Studio acting school in the summer of ‘79. I worked as a waiter at night, attended acting classes during the day, and life was good. However in 1981, I made two decisions that dramatically altered my direction: I got engaged to be married, and I went into my own business—assuming that if I were the boss I’d have control over my life. I’d have to quit acting school for a while, but I was convinced that it would all pay off in the end. Madness is a historical fiction novel based on the basketball achievements of Hank Luisetti. Some actual events, aspects, and characters have been fictionalized. Madness is available as a screenplay. Who’s the greatest basketball player ever? The majority of searches say Michael Jordan, but many others oppose this. While Jordan’s rank is debatable, a respectable dream team would include Kevin Durant, Bill Russell, Hakeem Olajuwon, Dr. J, Tim Duncan, Jerry West, Kobe Bryant, Wilt Chamberlain, Larry Bird, Shaquille O'Neal, LeBron James, Kareem Abdul-Jabbar, Magic Johnson, Stephen Curry, Michael Jordan, and Hank Luisetti. 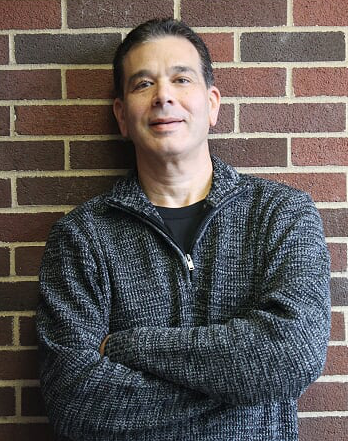 Chances are, you've never heard of Hank Luisetti, but this wouldn’t be a legitimate discussion without the Hall of Fame legend whose celebrity caused a basketball revolution. James Naismith invented basketball in 1891; Hank Luisetti reinvented it in 1936. Hank changed basketball’s genetic footprint when he popularized the one-handed shot. He could jump so high and stay up so long he seemed to defy gravity. Was Luisetti better than Jordan? That’s impossible to say because they played in different eras, but Hank Luisetti was basketball’s first superstar and what he did for the game was unprecedented. 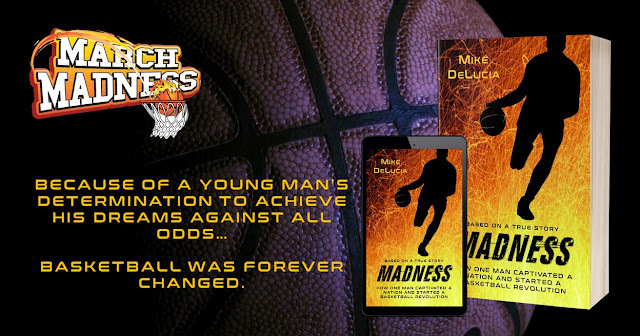 Madness is the intriguing story of Hank Luisetti --- the predawn of March Madness --- and how modern basketball was born.